My paintings take me back to a simpler time. I grew up with a wonderful Aunt in the 1950s who painted whenever she could; who looked at life as an adventure and was always outside -- taking me with her. I have one of her paintings hanging in our home painted on the back of a fruit crate during the Great Depression. How wonderful is that? 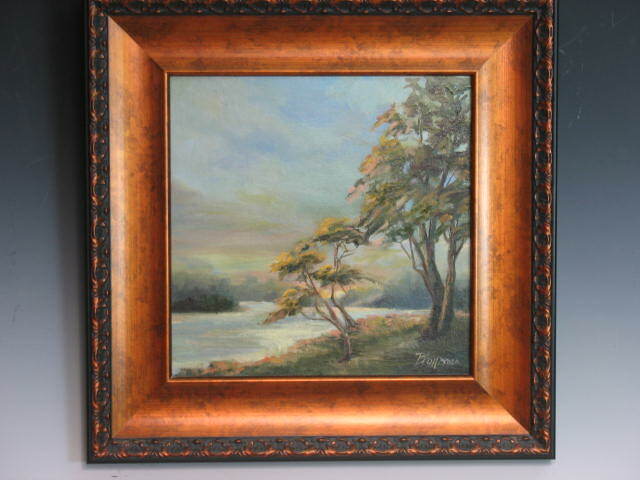 ​Being one of my favorite Aunts, her love for the outdoors inspired my passion for painting landscapes. My style of painting is a form of "traditional." I love to experiment with styles and you can see that by my work pictured below. Sometimes my paintings can be considered a style called Atmospheric Perspective, sometimes Sfumato, sometimes Impressionism. I'll take any of those categories! Atmospheric Perspective is a visual phenomenon that occurs when we view a landscape. The best way to explain is “fading into the distance”. When we view a landscape – objects in the distance lose contrast and detail. Sfumato (pronounced sfoo-mah-toh) is a technique that means “to smoke.” In its basic definition - it means no bold or harsh outlines. Finally, I love the impressionistic style and my work, I hope, shows some "flare" of impressionism. 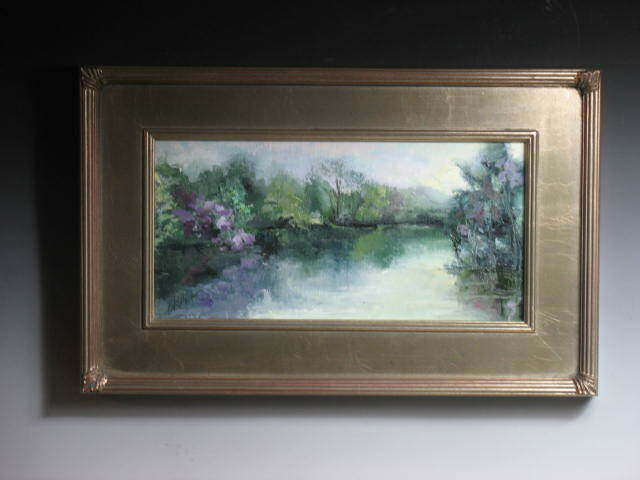 ​An Impressionist painting seeks to re-create the artist's or viewer's general impression of a scene. Sometimes small work is more difficult than large! If you wish to purchase one of the pieces below -- please drop me a note with the title. I classify small work as 12 x 12 or 8 x 16 inch canvas boards -- or smaller. 12 x 12 and 8 x 16 (same canvas size in inches) are my most popular size. Price determined by time and frame costs. Some frames are very expensive but make the piece. 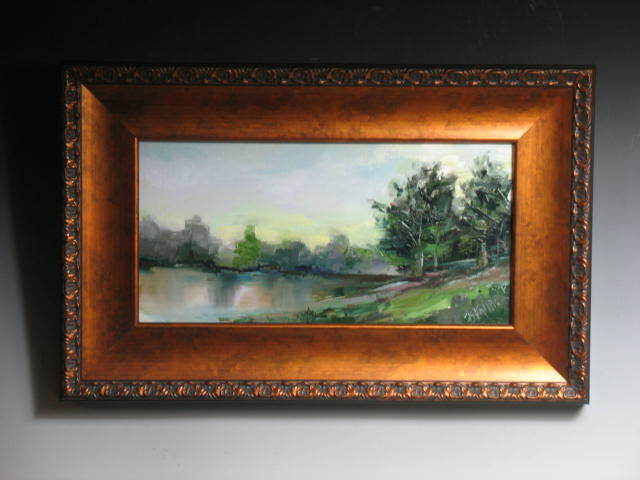 If you see a frame on a painting you prefer more I can switch out if I have in stock. All of my frames are custom made but I do try to order 2 of each at the time. Prices start at $475. 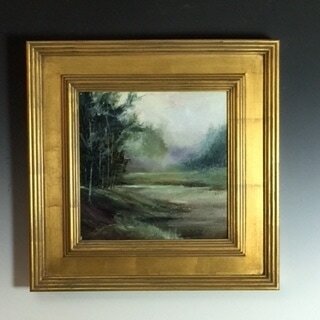 First Spring - 12 x 12 inch w 3 inch frame. 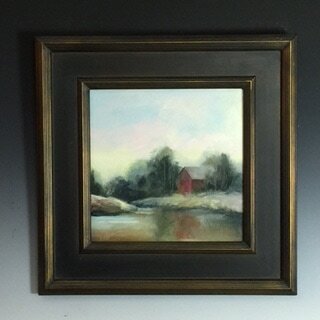 Reflections I - 12 x 12 w 3 inch custom frame. 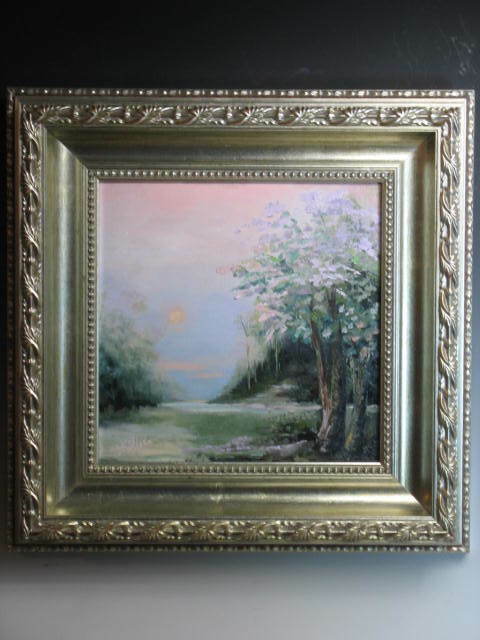 Moon at Heaven's Door - 12 x 12 w 3 inch custom frame. I do not update the website regularly so one or more of these may be sold or on display at a gallery. If available, please be advised I will post a painting on www.ETSY.com and search BrendaKollmanArt, or www.dailypaintworks.com. If you don't see a piece on ETSY or DPW, please drop a note to me (contact the artist section under "more") with the title and I can list if available. I only sell on ETSY or DPW to protect us both from scams, fraud. 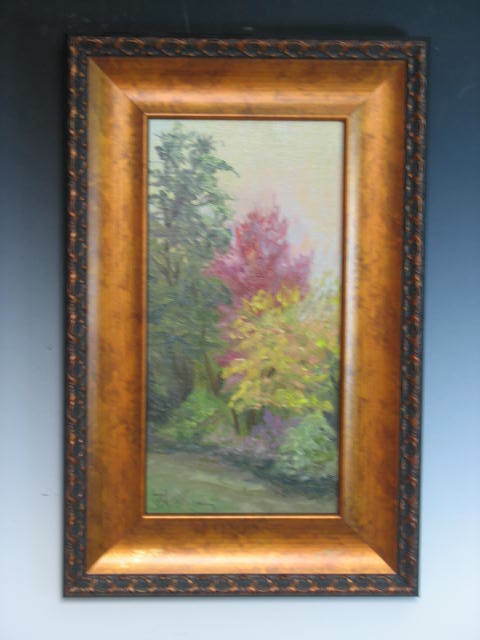 Still Standing - 16 x 8 inch w 4 inch custom frame. 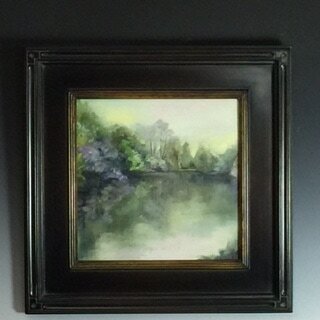 Gabriel's View - 12 x 12 w 3 inch custom frame. A Wonderful Memory - 12 x 12 w 3 inch custom frame. Stay Awhile - 8 x 16 w 3 inch custom frame. 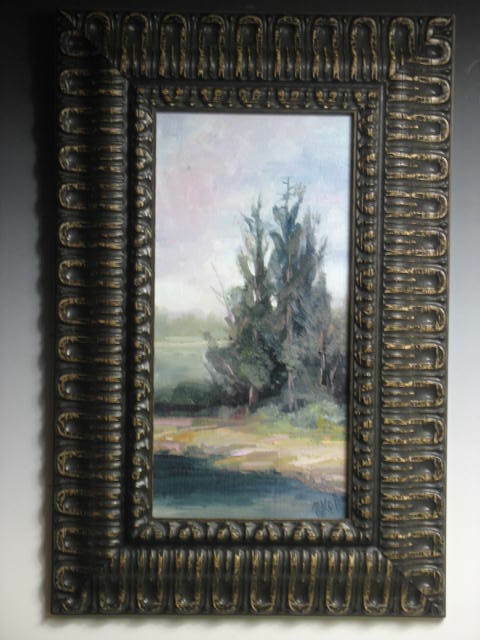 Reflections II - 8 x 16 w 3 inch custom frame. 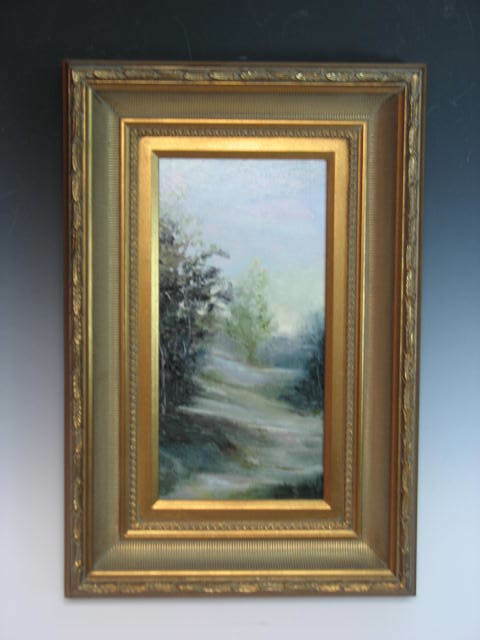 The Way Home - 8 x 16 w 3 inch custom frame.